While women’s boxing has been around since “modern” boxing began in the 1720s, its place in American sports consciousness began with a trickle in the 1950s and grew to a steady flow by the late 1990s before petering back in the late 2000s. Boxer Christy Martin’s bout against Irish fighter Deirdre Gogarty on the undercard of a Mike Tyson pay-per-view championship in 1996, put women’s boxing on the “map.” Not two weeks later Martin was on the cover of Sports Illustrated magazine in her characteristic pink boxing attire, and for the likes of boxing impresarios Don King and Bob Arum, it was a race to find other female fighters to add to the undercard of boxing bouts. Such fighters as Lucia Rijker and Mia St. John, while not household names by any means, were becoming known in the boxing community—and even sported decent pay days that could be numbered in the thousands rather than the hundreds. At the same time, women’s boxing became a sanctioned amateur sport leading to the development of a national team in the late 1990s. The beginnings of international amateur competition began in 2001 coinciding with the legalization of the sport in countries across the world. In the United States, the entry of Mohammad Ali’s daughter Leila Ali along with other boxing “daughters” such as Jacqui Frazier-Lyde, thrust the sport into the realm of popular culture including covers of TV Guide and a myriad of talk show appearances. With Leila Ali’s ascendency, however, other American female boxers of the period such as Ann Wolfe, Belinda Laracuente, and Layla McCarter, could not find traction on pay-per-view cards or on cable, despite excellent boxing skills (frankly much better than Ali’s) and by 2010, it was hard if not impossible to find female boxing on American television. International amateur women’s boxing was also on the ascendency culminating in the inclusion of women’s boxing as an Olympic sport in the 2012 Games in London. For such European fighters as Ireland’s Katie Taylor and England’s Nicola Adams, winning gold medals became very important national achievements leading to endorsements and other opportunities, not the least of which was recognition of their place in history and as role models for younger women and girls. For America’s boxing phenomenon, Claressa Shields, who at 17 was the first American female to ever win a gold medal for boxing, the usual promise of Olympic gold endorsements never appeared, and any sense that the inclusion of women’s boxing in the Olympics would perhaps enable a resurgence of the sport in the United States did not materialize. The other American female medalist who won a bronze in the 2012 Games, Marlen Esparza, had slightly better luck in winning endorsements, with adds for Coca Cola and Cover Girl, and a certain amount of traction in the Hispanic community, but otherwise, her Bronze had little effect on the sport as a whole. In fact, women’s professional boxing has remained virtually absent from the airways in the United States with very, very few exceptions over the past eight years—and in fact, with respect to national exposure, i.e., network television or nationally televised cable boxing programs (ESPN, et al), such instances can be counted on one hand between 2012 and 2016. The exceptions have been certain local fight cards such as New York City-based promoter DiBella Entertainment’s Broadway Boxing series, which have promoted and televised female bouts on local cable television channels. The same was true of a few of boxing champion Holly Holm’s fights in her local New Mexico market. Some women’s bouts are also available live from time to time on US or internationally based internet pay channels at anywhere from $10 to $50 a pop. Otherwise, the only other means of watching female bouts has been on YouTube and other video services, where promoters may upload fights days after the bout. Viewers have also come to rely on uploads from fans that record all or some portions of female bouts. The clips are uploaded to social media sites such as Twitter, Instagram and now Facebook Live, in addition to YouTube, Vimeo, et al. 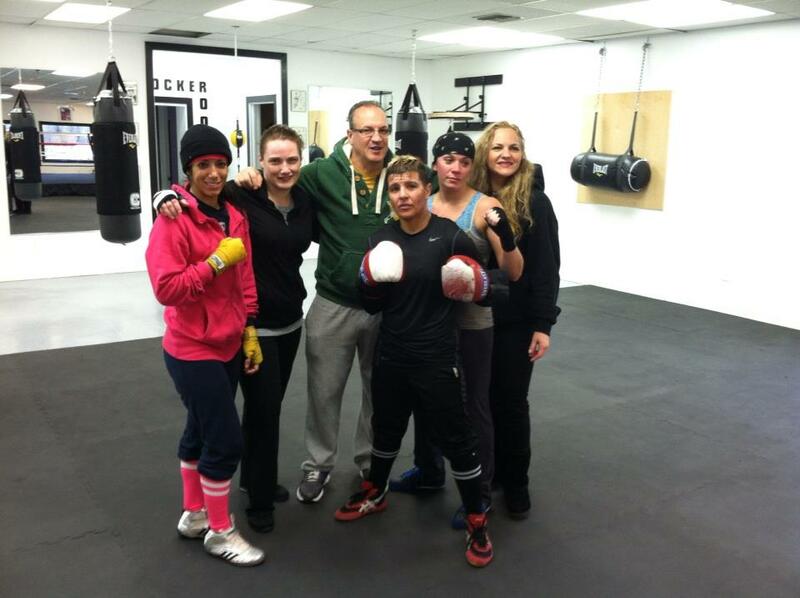 Additionally, it is possible to watch international female professional boxing bouts via satellite television. International amateur female boxing tournaments are also available on occasion for website viewing, and certainly women’s boxing in the 2012 and 2016 games were available on the NBC Sports website, albeit, after much searching. Three of the handful of professional female bouts broadcast since the 2012 London Games included, boxing champion Amanda “The Real Deal” Serrano’s six-round bout which was televised on a CBS Sports boxing program on May 29, 2015, boxer Maureen “The Real Million Dollar Baby” Shea’s pay-per-view title bout on a Shane Mosley fight card broadcast in August 29, 2015, and the last nationally broadcast women’s bout on NBCSN, which pitted two highly popular local North East fighters Heather “The Heat” Hardy and Shelley “Shelito’s Way” Vincent for the vacant WBC international female featherweight title on August 21, 2016. This latter fight was the first female bout to be broadcast under the new upstart Premier Boxing Champions (PBC) promotion arm that has brought boxing back to broadcast television on NBC and CBS, as well as broadcasting on cable television outlets including Spike TV, NBCSN, and ESPN. Four months on from the PBC broadcast, with a second Olympic cycle resulting in Claressa Shields winning her second back-to-back gold medal at the 2016 Rio Games – the first American boxer, male or female to have won that distinction – the status of women’s boxing in the United States is at a crossroads of sorts. Since 2012, mixed-martial arts (MMA) have made significant inroads across platforms on cable, broadcast and internet-based telecasts. Moreover, this increase in visibility has come at the detriment of boxing—with more and more advertising dollars being thrown towards MMA contests. Of significance, however, has been the increasing popularity of women’s MMA (WMMA)—especially since UFC, the premier MMA league added female MMA fighters to their roster. Beginning on February 23, 2013 (UFC157), UFC began broadcasting WMMA bouts. Her first loss, however, in UFC 193 on November 15, 2015, was to a female boxer turned MMA fighter, Holly “The Preacher’s Daughter” Holm. A highly experienced female boxing champion, Holm’s boxing career of (33-3-2, 9-KOs) while very impressive, never led to the kind of breakout name recognition or big dollar paydays that should have been her due, given her talents, and caliber of many of her opponents including bouts with such boxing royalty as Christy Martin and Mia St. John (albeit later in their careers), British boxing star Jane Couch who single-handedly created women’s boxing in England, and the truly fearsome French fighter, Anne Sophie Mathis. Ensconced in her hometown of Albuquerque, New Mexico, Holm enjoyed a loyal following and excellent local coverage, and while she was a known quantity in the boxing community; it was only with her forays into MMA that she was able to break through to a larger audience and a chance at bigger paydays and television exposure. The irony of a Rousy’s loss to a boxer was not lost on the boxing community (nor has the fact that Rousey’s recent loss in UFC207 was due to her inability to defend against her opponents unrelenting boxing “strikes”). A growing number of boxing writers who have also begun to champion the place of women in the sport with such features as Ring Magazine‘s monthly feature by Thomas Gerbasi. Boxing writers and Shields herself have asked if this will be the launch point for women’s boxing—and with Claressa Shields recent appearance on the cover of Ring Magazine in celebration of her remarkable back-to-back Olympic gold medal appearances, she is certainly an important figure to be reckoned with as 2017 looms—not to mention her 77-1 boxing record in the amateurs. Ireland’s Katie Taylor also be turned professional in England in early December, and quickly racked up to back-to-back wins with the second one also broadcast live on Showtime’s streaming online service. Additionally, in late November, Stephen Espinoza, Executive Vice President at Showtime stated they intended to include female boxing on the network in 2017—a first since 2009. Espinoza has been flirting with the idea of putting a female bout back on the air for the last couple of years—and has paid keen interest in the success of DiBella Entertainment’s local fight cards that have included such female fighters as Amanda Serrano, Heather Hardy, and Shelito Vincent. 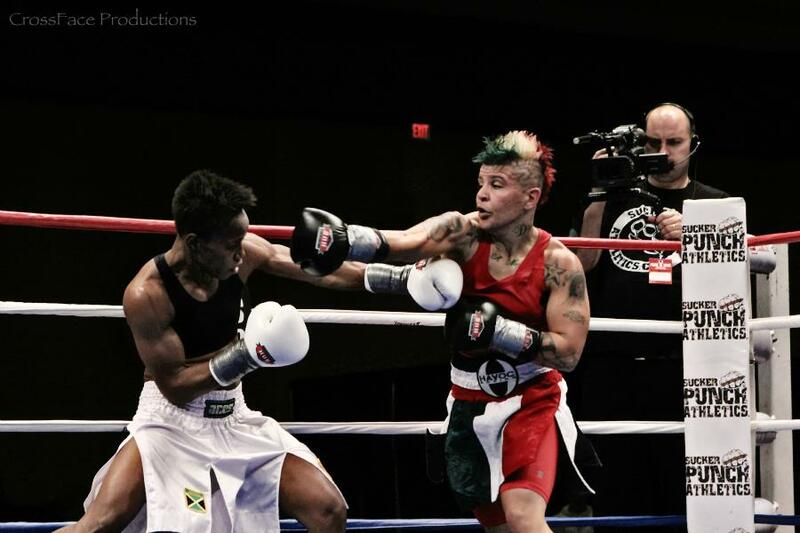 The first event is slated to be a WBO women’s world super bantamweight championship with the remarkably talented Amanda “The Real Deal” Serrano (30-1-1) set to fight Yazmin Rivas (35-9-1) in what promises to be a hard fought bout between two technically proficient warriors. AIBA’s (the world international amateur boxing association) rules change just this past week may be the most far-reaching. All women’s amateur elite bouts will now be contested with in three rounds of three minutes each. The parity of the rounds and number of minutes per round is a first in the amateur world—and while elite men will still contest without helmets, there is further discussion of this otherwise controversial rules change that took effect before the Olympics in 2016. With respect to the number of minutes per round—the normalization of the three-minute round will, in my estimation put pressure on the pros to accept this change, especially as amateurs with experience in the changed format turn professional. Given that in MMA men and women contest using the name number of rounds and same number of minutes per round, there will certainly be more impetus to push through three minute boxing rounds for women. Some states allow this already—such as New York State, but there has been reluctance to push for fights using three rounds based on the perception that women will want more money. Given the pay equity issues that already exist, there may be somewhat of a case to be made, however, with the push to three minutes, that last claim of women’s boxing being “less” than men’s because of the number of minutes in a round will be pushed aside once and for all. Showtime’s potential entry into broadcasting female boxing along with signs that boxing sanctioning organizations are beginning to put resources into the sport led by the World Boxing Council which has now held two consecutive WBC conventions devoted solely to women’s boxing may help further propel the sport back into a more prominent place in the United States—and in place such as the United Kingdom. Time will tell whether this actually happens, but as always, I remain hopeful! *Strikeforce was an MMA and kickboxing league operating out of California from 1985-2013. WMMA practitioners such as Mischa Tate and Ronda Rousey were important champions and helped prove the case for televising female MMA bouts. They were particularly popular draws on Showtime. Strikeforce was bought out in 2011 by Dana White and its roster eventually folded into UFC. Here we are again fight fans! And if Chicago-based new boxing sensation and 6-time Golden Gloves champ Kristen Gearhart (2-0) who is fighting Alliana Jones (1-0) on the ESPN Friday Night Fights card doesn’t get on the air — female boxers will still find themselves shut out of the major US TV networks this weekend. As alternative …. we have tonight’s fight card with two sensational fights from this past week! For the main event, here is the complete Cecilia Braekhus (24-0, 7 KOs) vs. Myriam Lamare (22-4, 10-KOs) fight for the WBA, WBC and WBO female welterweight championship held on 2/1/2014. Braekhus took the fight by unanimous decision on points. Friday night at the women’s boxing fights! Okay so, ESPN Friday Night Fights, HBO, Showbox, NBC Sports, Fox Sports all seem to have forgotten that there are a heck of a lot of great women’s boxing bouts. 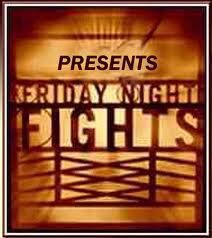 For tonight’s “card” I’ll start with a title bout from last week’s USA Boxing Nationals and add in some golden oldies. Enjoy! First up, our Gold Medal winner Claressa Shields battling Franchon Crews to take the USA Boxing 2014 Middleweight Title! Next … Cecilia Braekhus (23-0, 7-KOs) vs. Oxandia Castillo (12-1-2, 9-KOs) from 8/9/2013. This was Braekhus’ last fight–she fights the great champion Myriam Lamare tomorrow night. Here’s the weigh-in for what should be an awesome battle, tomorrow’s bout (Feb 1st) between Cecilia Braekhus and Myriam Lamare for the WBC, WBA & WBO Female Welterweight titles! One of the greats! 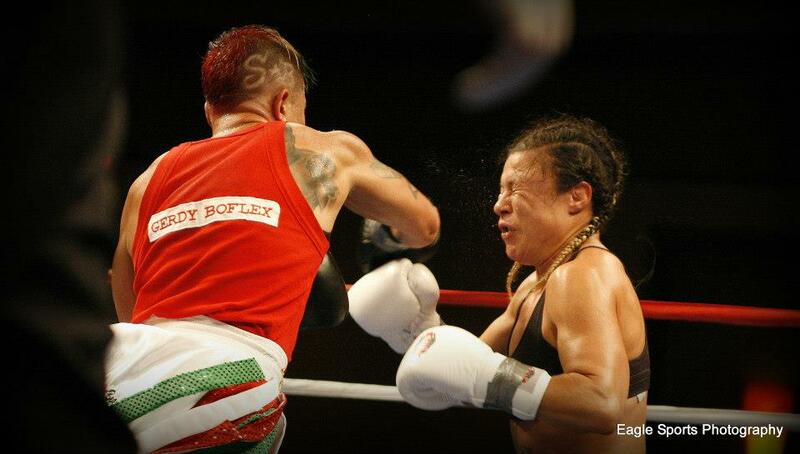 Ana Maria Torres (28-3-3, 16-KO) vs. Jackie Nava (23-4-3, 12-KOs) in their first battle on 4/11/2011 at the World Trade Center, Boca del Rio, Veracruz, Mexico. What a war! Ana Maria Torres vs. Jackie Nava II from July 30, 2011 at the Metropolitan Arena, Tuxtla Gutierrez, Chiapas, Mexico. 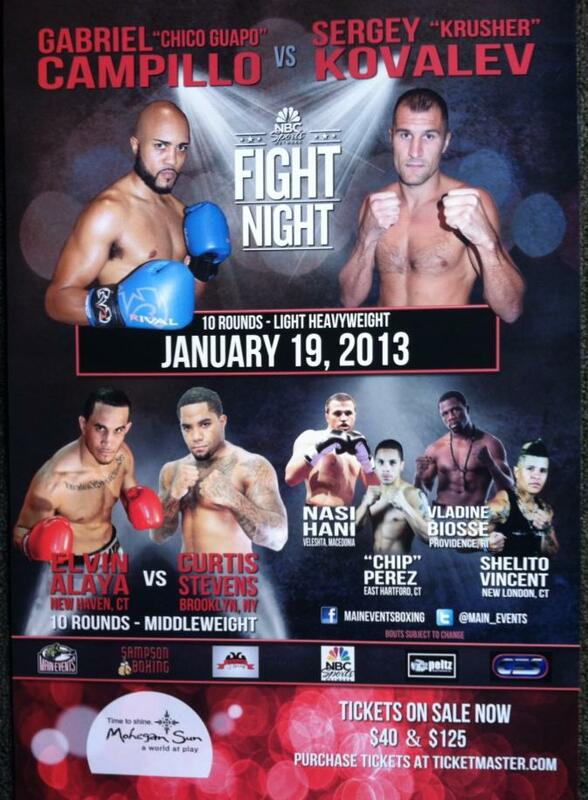 An interview with Shelito Vincent, to fight on 1/19/2013! Shelito Vincent takes it 59-55, 58-56 x 2 over Nydia Feliciano!!! Per @TalkinBoxing on Twitter, Feliciano came out strong in the first round and used her height advantage well in the second. Vincent dug in though and started to really bring it in the third round. By the fourth and fifth round she was breaking Feliciano down with hard hitting and relentless pursuit. The fight was the war they anticipated with both fighters slugging it out to the end of the bell in the 6th round. 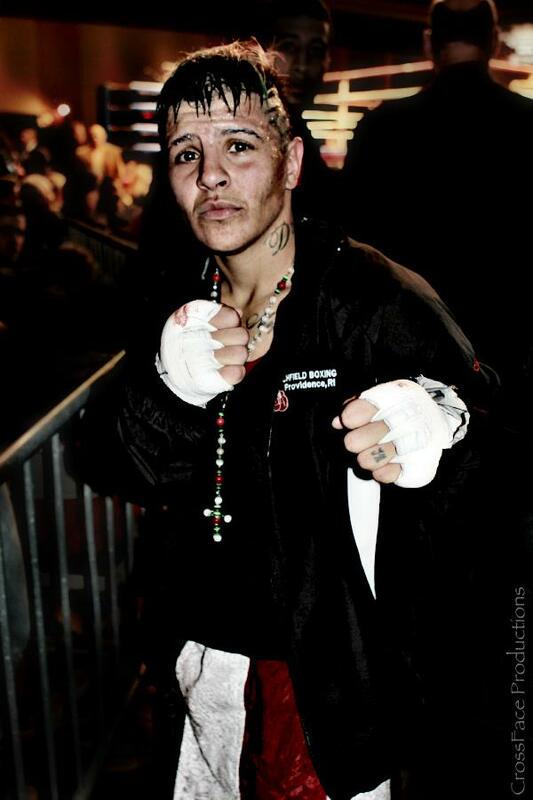 Shelito “Shelito’s Way” Vincent (6-0) is readying to fight her seventh bout on January 19, 2013 against boxer Nydia Feliciano (5-3-3). The six-round bout is set for the Mohegan Sun Casino in Uncasville, Connecticut. Tickets are available from Ticketmaster.com ($40 & $125). Q1. You’ve got a great winning streak going for you. With the seventh fight on the line, what are you looking to achieve in you fight against Nydia Feliciano, arguably your most experienced opponent to date? Q2. You turned pro in October of 2011. Now that you are well into your second year as a professional fighter, what is your game plan for achieving a title in the crowded women’s bantamweight division? Q3. Peter Manfredo has been training you for some time, how has his mentoring helped you in the ring and how are you both working towards getting you to the next level? Q4. Your story continues to be one of triumph over adversity. Now that you have comfortably made the transition to professional boxing, what do you see as the challenges that are most important for you to overcome? Q5. The fight card you’ll be on is set to broadcast on NBC’s Sport Network. While your fight might not make it to the broadcast, what is your sense of when women’s bouts will begin to routinely appear on air again? Have you seen any changes since Claressa Shields brought home the gold this past August or is it more of the “same ‘ole, same ‘ole? Q6. You are starting to train young fighters yourself. What do you try to instill in your girls coming up and what they can accomplish in the sport and in life? Q7. What’s next for you after Saturday night’s fight?